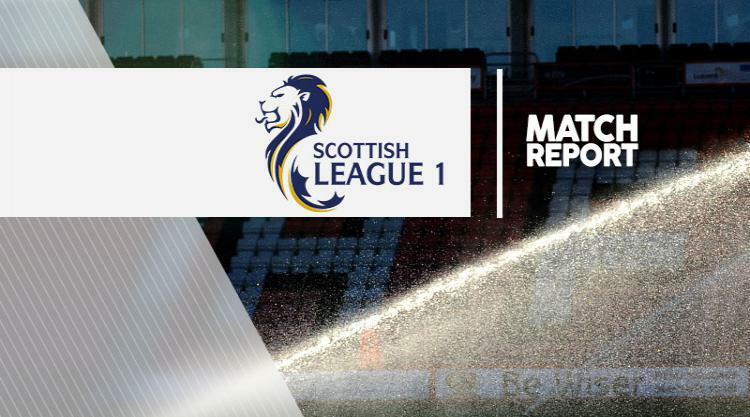 Arbroath 0-1 Alloa: Match Report - view commentary, squad, and statistics of the game as it happened. A late strike by Scott Hynd denied Arbroath a play-off spot as Alloa snatched a 1-0 win at Gayfield Park. A poor opening 45 minutes saw chances few and far between, with Alloa appearing the more likely team to create anything. Martin Grehan fired over from the edge of the box after Mark Docherty's sixth-minute corner and Docherty had a chance of his own on a minute before the interval, but his long-range effort was comfortably saved by Antony Bullock in the Arbroath goal. Paul Sheerin's half time team talk seemed to fire some life into Arbroath. Mark Baxter's shot from the right side of the penalty area in the 57th minute was saved by Craig McDowall, while Steven Doris fired over the bar from the right channel. Arbroath continued to knock at the Alloa door to no avail. Graham Bayne's close range volley after 74 minutes, which was tipped over by McDowall, was the Red Lichties closest chance. Despite Arbroath's pressure it was the visitors who snatched a victory late on. Scott Hynd rifled home a close range effort from Edward Ferns' 89th-minute cross to consign Arbroath to fifth spot in the table.